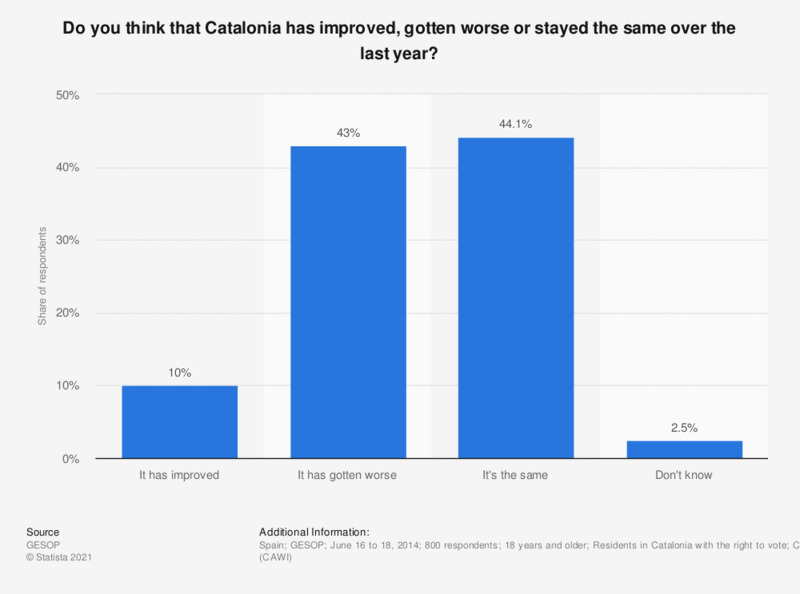 This statistic represents public opinion within Catalonia of whether the situation in the region has improved or worsened over the last year according to a survey carried out in June 2014. A slight majority considered the situation in Catalonia to be same as a year earlier while 43 percent believed that it had become worse. Only 10 percent of respondents said that they thought things had improved.